When we think about great artists from the past, we don’t immediately think about rivalries and grudges, but that is exactly what one exhibition at the Tate Britain is focusing on. For the first time in nearly 200 years, two paintings by rivals John Constable and J.M.W. Turner are being displayed near each other, rekindling the idea of conflict among creative geniuses. 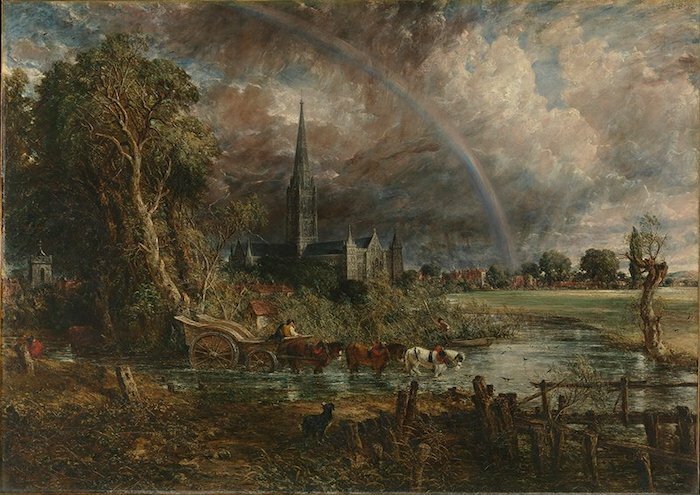 The museum has placed Constable’s Salisbury Cathedral from the Meadows and Turner’s Caligula’s Palace and Bridge on adjoining walls, reproducing the Royal Academy’s arrangement of these two landscapes in 1831. The story is that Constable, who was responsible for arranging the pieces, moved his painting right before the exhibition opened to the premier spot: between two of Turner’s paintings. 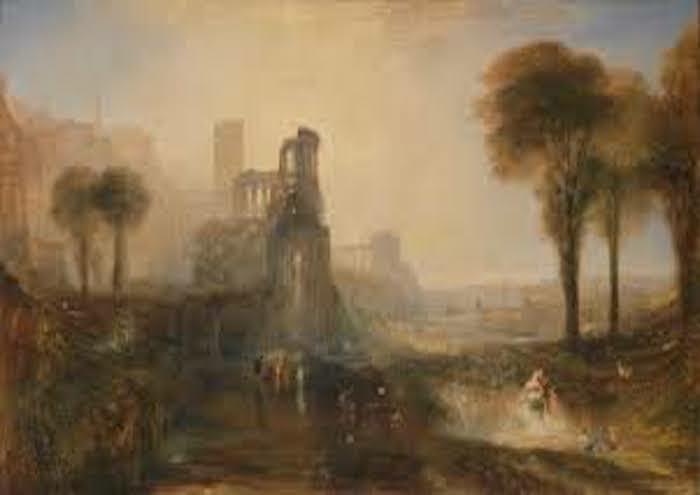 This left Turner no time to question Constable’s placement, and as a result of that display tension between the already competing artists increased. The Tate’s showcase represents only one instance of disagreement among successful creative individuals; many highly regarded artists had conflict with one another, yet some of these arguments are not commonly known or are not immediately obvious when you’re visiting a museum or reading a novel. You’ve probably heard of Pablo Picasso and Henri Matisse, but did you know that while these painters respected each other and were friends, they differed in their beliefs? When Matisse decided to decorate the Vence chapel, Picasso–an atheist–disapproved and questioned how Matisse could believe in Christianity or do something for a belief with which he did not agree. Picasso and Matisse had a relationship strong enough to last through that argument, but other artists faced more difficulty controlling their tempers. Take, for example, Benvenuto Cellini, who wrote in his autobiography that he once killed a rival goldsmith. Artists, however, are not the only creative individuals who had conflict with each other; several well-known authors clashed with each other as well. In his writings, Ernest Hemingway refers to F. Scott Fitzgerald as “poor Scott Fitzgerald,” pitying him for thinking highly of wealthy people. Fitzgerald responded by asking Hemingway not to include his name in any further stories, as he said the reference made him lose a night of sleep. Charles Dickens and Hans Christian Andersen also experienced some tension in their relationship. Andersen, who was highly impressed by Dickens, once overstayed his invitation at Dickens’ house, remaining there for four weeks more than was originally intended. Dickens was so frustrated he refused to communicate with Andersen at all after that incident, and the two men never met again. Conflict even extends to the world of fashion, namely in designers Coco Chanel and Elsa Schiaparelli. It is rumored that once at a party Chanel intentionally pushed Schiaparelli, with whom she was dancing, into a candelabra and set her on fire momentarily. As these examples and the Turner and Constable paintings show, every piece of art and every creator has a story. Rivalries in today’s creative world are not something new, but they are simply a continuance of a long tradition of relationships among talented individuals. You can see for yourself the legendary Turner and Constable paintings as part of a free exhibition at the Tate Britain until July 2019.